1 It is importantthat towns and cities are attractive so money should spend on works of art (likepaintings and statues) in public places. To what extent do you agree ordisagree? 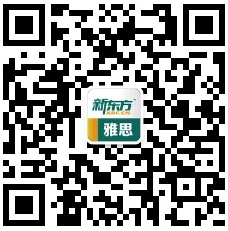 政府是否应投资艺术来提升城市吸引力? 把钱花在艺术作品上是有一定的合理性的，它对于加强人文素养、提升一个地区展品的层次是非常有益的。Spending money on works of art in public places has its ownrationality, which is conducive to adding a humanistic flavor and improving thedisplay of a region. 1) 城市丰富的教育资源和工作机会是大部分人涌向城市的原因。提升城市的魅力也可以通过增加就业机会和学习机会的方式来实现。The affluent educational resources and job opportunities in townsare what drive most people from other regions. To invest in increasingemployment and learning opportunities is another way to gain charm. 2) 把资金投入改善住房条件也能提升城市的吸引力。Injecting funds in improving housing conditions can pull upthe glamour index of metropolises and towns. 2 Some people think that the range of technology available to individuals is increasing the gap between rich countries and poor countries，while others hold the opposite opinion. What is your opinion? 一些人认为科技导致贫富国差异越来越大，另外一些人持否定态度，你的观点是什么? 不是钱而是科技缺乏导致贫困 it is not money but technology that drives prosperity. 更甚，科技的缺乏使贫困无法摆脱。 poverty is driven and sustained by a lack of technology. 4 Research shows thatovereating can be just as harmful as smoking. Thus the advertising of certainfood products should be banned, as cigar is banned in many countries. To whatextent do you agree or disagree? 研究表明进食过量和吸烟一样有害，所以部分食物的广告应该被禁止。你是否同意这个看法? 5 If aproduct is good or it meets people needs, people will buy it. So advertising isunnecessary and no more than an entertainment. To what extentdo you agree ordisagree? 产品的销量取决于是否满足人们的需求，所以广告变得没有必要，只不过是种娱乐。是否同意这种说法? 1) 确实，产品成功，从销量上来说(in terms of sales performance)， 取决于(hingeson)产品的质量和功能。然而广告是高销量背后的主要推动力(the main driving forcebehind)。 广告能进行产品促销，增加公司的销售额。Advertising leads to salespromotion of a company which usually results in increasing the sales volume ofthe company. 3) 理由3:此外，能够强化产品在市场的定位，使该品牌公之于众。Moreover, it canincrease the brand positioning in the market and make the brand visible.